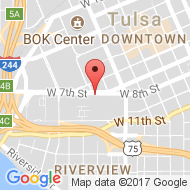 Wirth Law Office: Case results for Tulsa, Oklahoma Attorney James M. Wirth, Esq. This page highlights a few of the successes of attorney, James M. Wirth, Esq. and the Wirth Law Office’s lawyers. The list is far from complete. These examples demonstrate the lawyer’s legal expertise, but can not guarantee results on any specific future case. Every case is different and must be approached according to the specific facts and circumstances of that case. Results in your case depend on the facts in your case and on your actions. Contact a Tulsa attorney now at (918) 879-1681 for free consultation. Acquittal (not guilty verdicts) at jury trial. Mr. Wirth has had cases completely thrown out for speedy trial violations and 4th amendment violations. 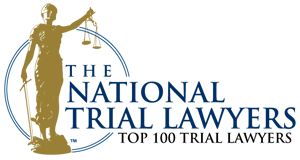 See the Firm News page for details on specific criminal defense victories. Client objectives in a divorce matter can vary greatly from one case to another. For clients wanting a quick divorce, Wirth Law Office lawyer, James M. Wirth, Esq., has obtained divorce decrees in as little as 11 days in agreed matters. For contested custody matters, James M. Wirth, Esq., has helped countless clients win custody of their children. James M. Wirth, Esq. has obtained back child support judgments in excess of $100,000.00 and caused habitual non-payers to serve up to six (6) months in the Tulsa County Jail. Attorney, James M. Wirth, has helped countless persons behind on their child support stay out of jail so they are better able to support their families. Oklahoma lawyer, James M. Wirth, appealed to the Oklahoma Supreme Court when a father’s parental rights were terminated by a judge judge so that his ex-girlfriend could give the child up for adoption. Based on Mr. Wirth’s brief, the appellate court reversed the trial judge and restored the Mr. Wirth’s client’s parental rights. In one notable juvenile case, the State accused Hmong parents of child abuse, acquiescing to child sexual assault, and child selling when they allowed their underage daughter to culturally marry. The State requested immediate termination of parental rights despite the parents being good and loving parents to the child and her many siblings. Through trial, attorney James M. Wirth, demonstrated that the allegations were mostly cultural misunderstandings exaggerated to the point of hyperbole. After trial, but prior to the pronouncement of the Court’s decision, the State agreed to dismiss the case. James M. Wirth has obtained six figure settlements in personal injury cases, one of which was settled while the client was in prison on an unrelated matter and therefore unavailable for trial. In another interesting case, Mr. Wirth persuaded the insurance company to settle a wrongful death claim for a fetus conceived just fourteen weeks prior to a car accident causing a miscarriage. This settlement was in addition to the mother’s personal injury claim. Another example of a victory is from a case that Mr. Wirth took over after the client fired another attorney. The prior lawyer was one of the ones that can be seen in day time television commercials. He had recommended that the client accept a settlement of $5,000.00 for injuries sustained in a minor car accident. She declined that offer and retained the Wirth Law Office instead. Within a few months, Mr. Wirth had settled her case for $15,750.00, more than three times as much as the prior attorney. 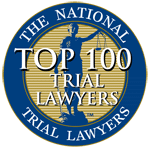 Wirth Law Office attorneys filed over 100 Chapter 7 bankruptcy cases in 2009, with nearly every single one receiving a discharge of their unsecured credit cards, medical, and other dischargeable debt. Overall, millions and millions in debt has been discharged. Attorney, James M. Wirth, has handled hundreds of Workers’ Compensation cases for injured Oklahomans. One memorable case involved a hispanic gentleman whose employer told him to go to the Workers’ Compensation Court directly after his doctor’s appointment. They told him that they were going to give him $3,000.00 for his injury, but the client was not aware that they were trying to get him to agree to close out his case. The injured worker instead called attorney, James M. Wirth, who met him at the Workers’ Compensation Court the same day, reviewed the employer’s offer and explained that if he signs this he would not get any further medical treatment or benefits. He refused the offer and Mr. Wirth was able to obtain complete medical treatment for him as well as benefits totaling well over 1,000% of what they originally tried to get him to settle for without treatment. Another memorable case involved an employee whose back was severely injured while doing manual labor. Spinal surgery was recommended by the orthopedic surgeon, but the employer refused to admit the case or pay for any benefits. This particular employer was self insured and had a reputation for harassing injured employees and denying rightful claims. Wirth Law Office attorney had to force the matter to trial to made any headway while the client was waiting for approval to have surgery. At trial the employer had two of its current employees testify that they were present at the time of the injury and that no injury occurred. However, the Judge believed Mr. Wirth and his client’s case and awarded benefits allowing the injured worker to get the treatment he needed. If you would like a free consultation with an Oklahoma lawyer, call the Wirth Law Office at 1 (918) 879-1681 (or toll free at 1 (888) Wirth-Law) or submit the question form at the top right of this page.